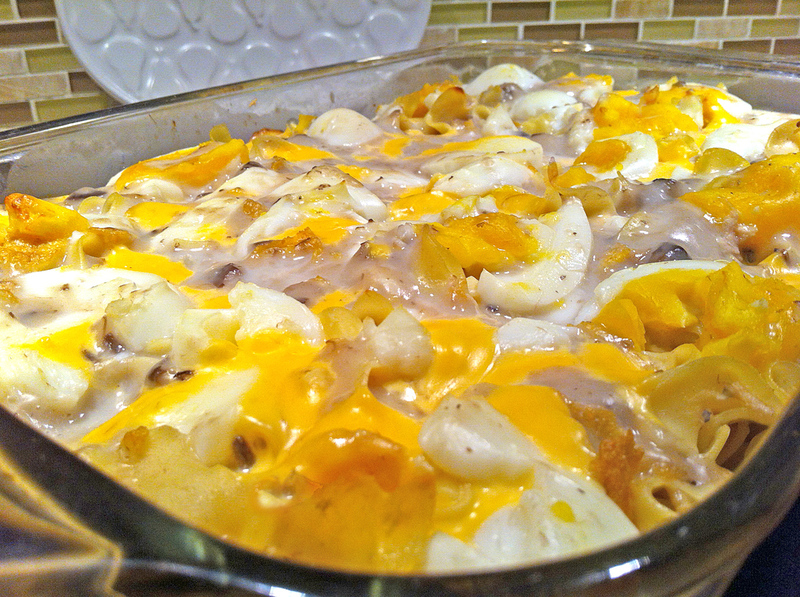 Vintage American Tuna Noodle Casserole | Let's Cook With Bry! This is one of those quintessential Americana recipes that everyone, including myself, grew up on – and loved. My Mom altered the classic recipe just a bit, by substituting corn flakes for potato chips, because she thought the chips made the dish too salty. She always used a deep, square Corning Ware baking dish (c’mon, EVERY mother had a set of them: white with blue embellishment, you remember) – I’ve made this one in a 9 x 13 x 2 Pyrex dish, which works just as well. Half this recipe for a smaller casserole. Cook and drain the egg noodles. Meanwhile, preheat the oven to 350°. Drop the butter into a casserole dish or glass baking pan. Place the cooked noodles into the dish and stir, along with the pepper, to melt the butter; break up the tuna with a fork and mix into the noodles. 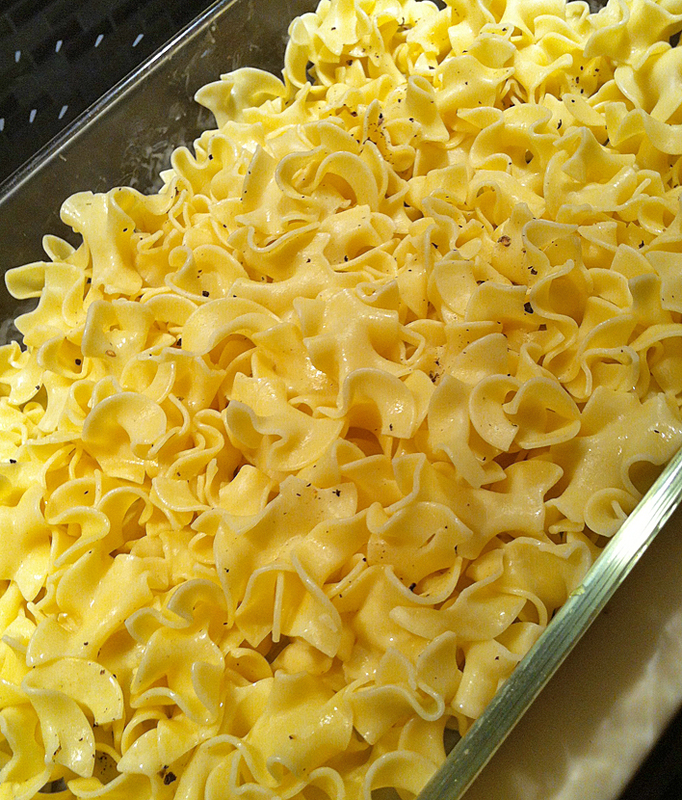 Crumble a layer of corn flakes atop the noodles, then a layer of cheese, and layer the egg slices. Finish with a sprinkling of cheese. Blend together the soup and the milk, and pour the mixture over the top of the casserole, using a fork to incorporate the soup throughout the noodles. Bake the casserole at 350° for 15 minutes, or until the top is golden brown.